Perfect for those times when you need a quick break between takes. 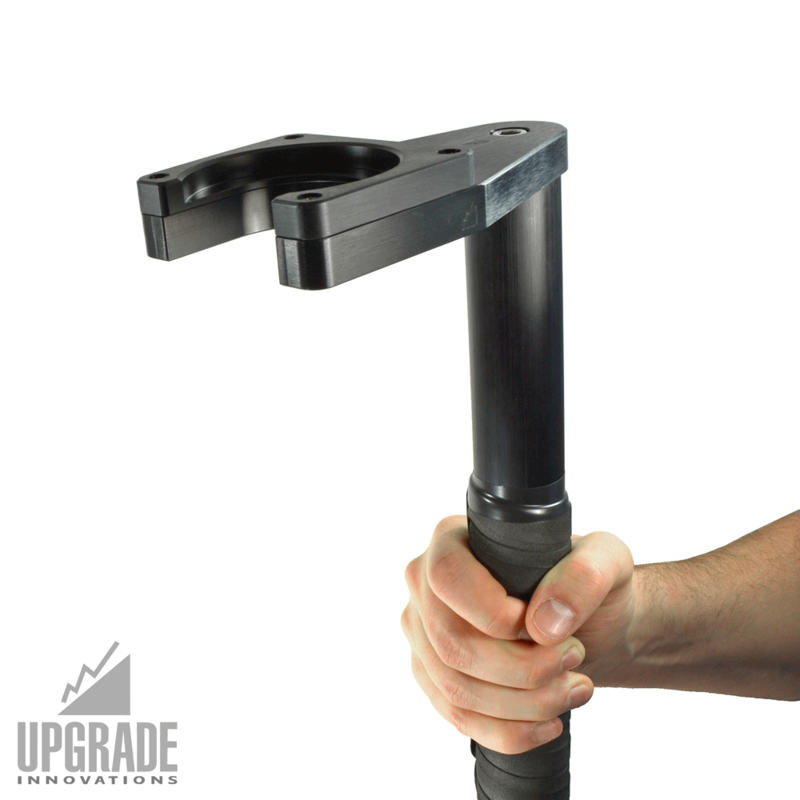 The Monopod 60″ is built tough, with high grade aircraft aluminum and stainless steel hardware using 3/8 screws at all joints. 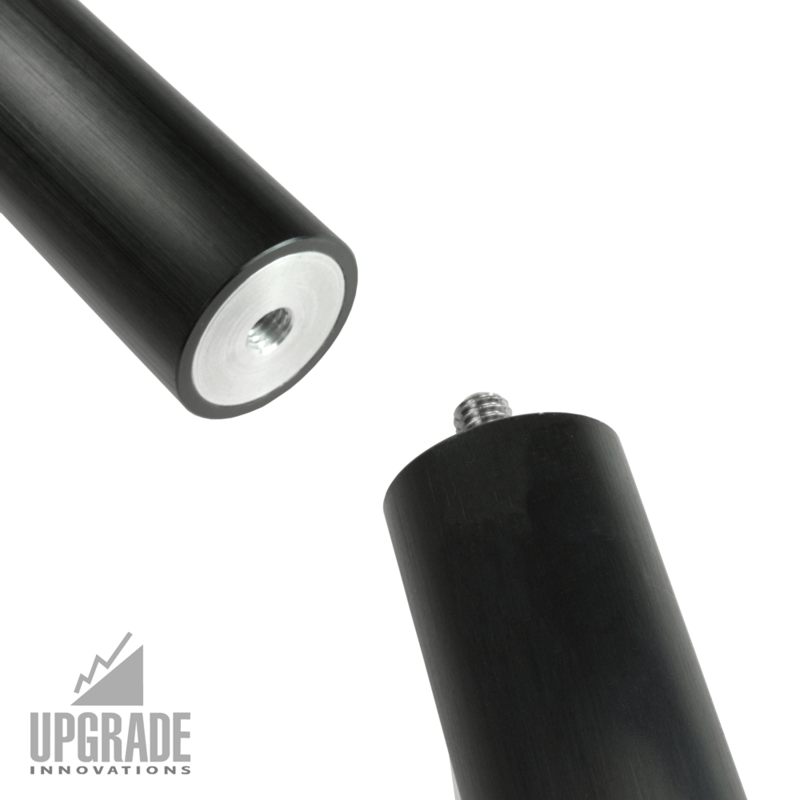 The 2 section MonoPod 60″ can be adapted to fit other post sizes by simply exchanging the nylon docking pad. Post size and Collar size must be indicated when placing order. Post sizes from 1.5″,1.58″, 1.8″, 1.9″, 2.0″, and 2.125″ diameters are supported. Standard are two poles each 29″ long. 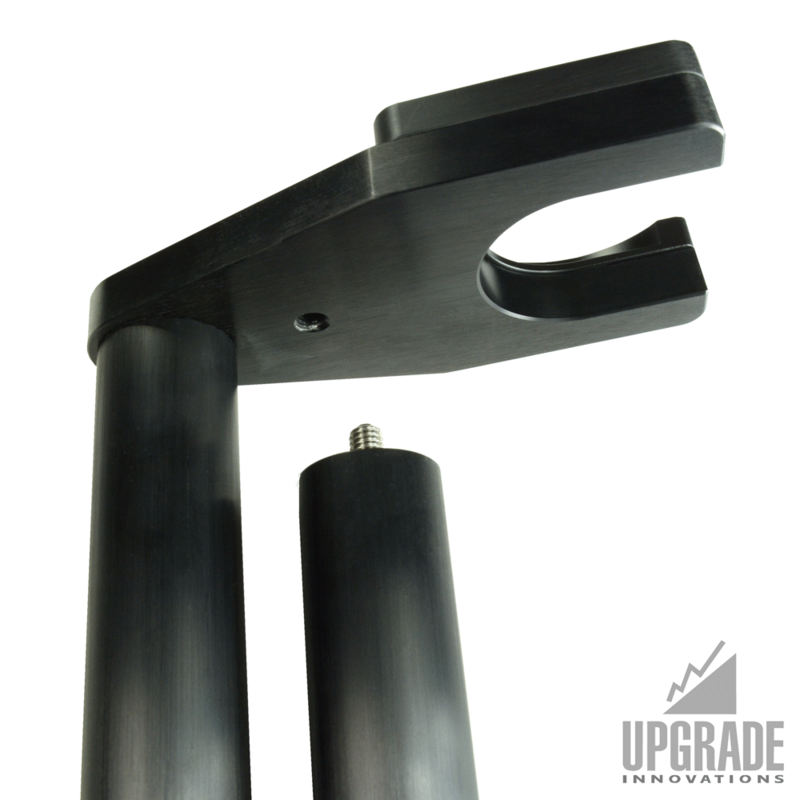 The lower pole has the 1″ rubber foot and a 3/8-NC stud on the upper end to assemble to the upper pole or to the underside of the docking plate for transport. 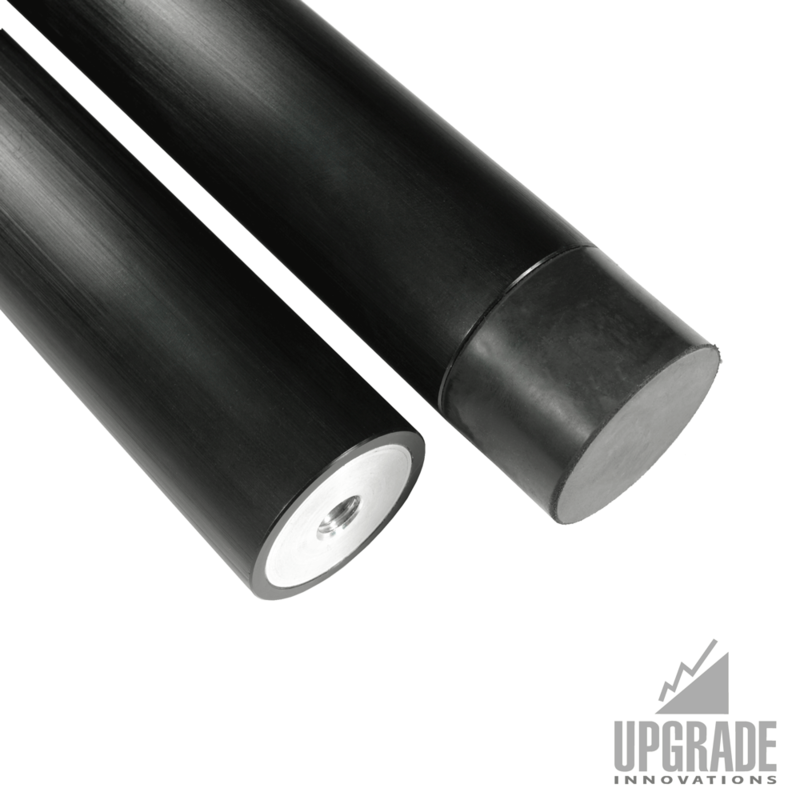 The Docking Plate and nylon pad adds 1-1/8″ to make a 60″ pole. Custom tube lengths can be requested and may be cut from already anodized 29″ tubes and before any assembly is originally shipped. Any reworked sizes after product is shipped will add an extra cost. 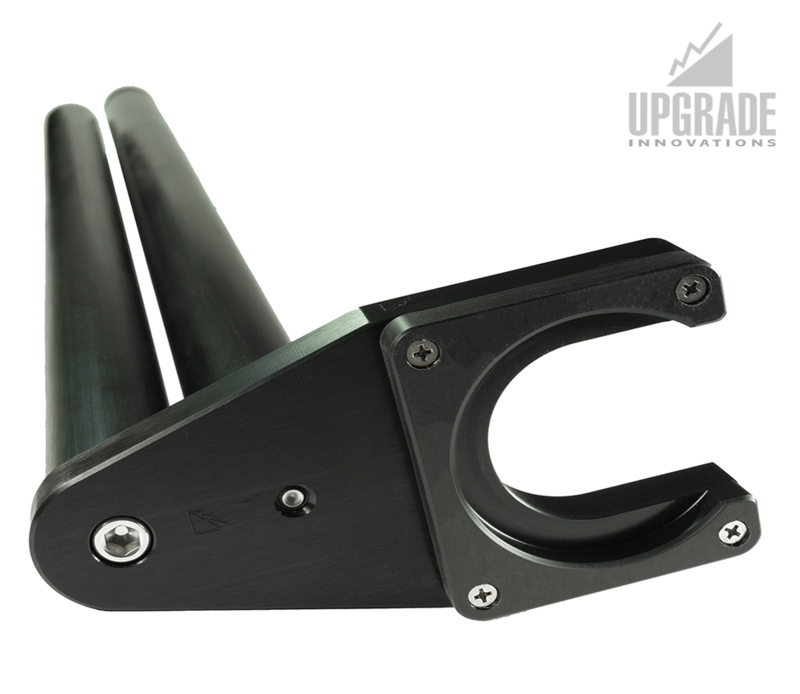 Available pads make it work with various Steadicam post clamps/docking rings. 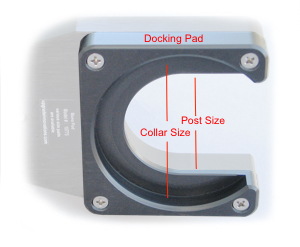 Nylon Pads have to be requested based on post size and collar size/shape of docking ring. Bottom tube can be mounted underside of the docking plate for transport. Plate and pad can be taken off if needed. 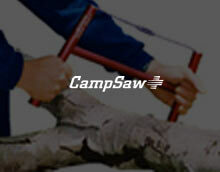 Standard is a 60” pole when assembled and it consist of two sections of 29” long tubes.